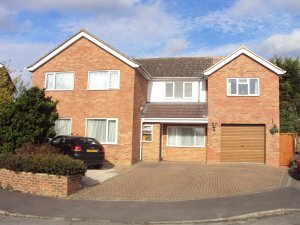 If you are looking for oodles of space for a large family or a way to share a family home with extended family or a good sized house for yourself with income built in, then this is a house well worth considering. The location is ideal for Culham Science Centre (3kms), Milton Park (2kms), Didcot, Harwell and all the business and science parks of South Oxfordshire. It is a five minutes’ walk from the picturesque centre of Sutton Courtenay with its village green, abbey and pretty cottages. The house is in a modern cul-de-sac at the edge of the picturesque village of Sutton Courtenay. It is a five minute walk from the village centre which has two small supermarkets, a post office, butcher's, a selection of village pubs, a historic church where the author George Orwell is buried, and Sutton Courtenay Abbey. It is particularly well located for the South Oxfordshire business and science parks, with Culham Science Centre only 3kms away, Milton Park 2kms away, and the Abingdon, Didcot and Harwell science parks all within a 15-minute drive. The house has excellent transport links as it is only 5 minutes from the A34 which connects to Oxford and the M40, as well as the M4 and the South of England. There is a regular bus service to Abingdon with connections from there to Oxford. It is a 15-minute drive from Didcot Parkway station with a regular direct 40-minute train service to London.